Silpakorn University Art Gallery comprises Thong Phra Rong (Throne Hall), a Thai traditional architecture and Phra TamnakKlang (Middle Pavilion), a building of neoclassical style. These buildings are part of Wang Tha Phra Campus. 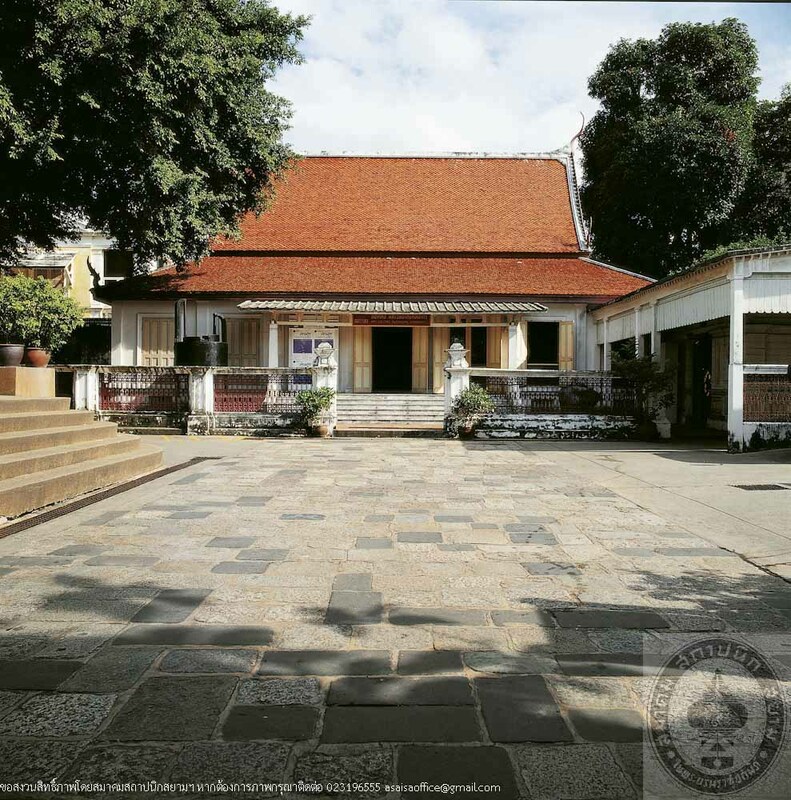 The palce was built in the reign of King Rama I as a residence of Chaofa Krommakhun Kasatranuchit. 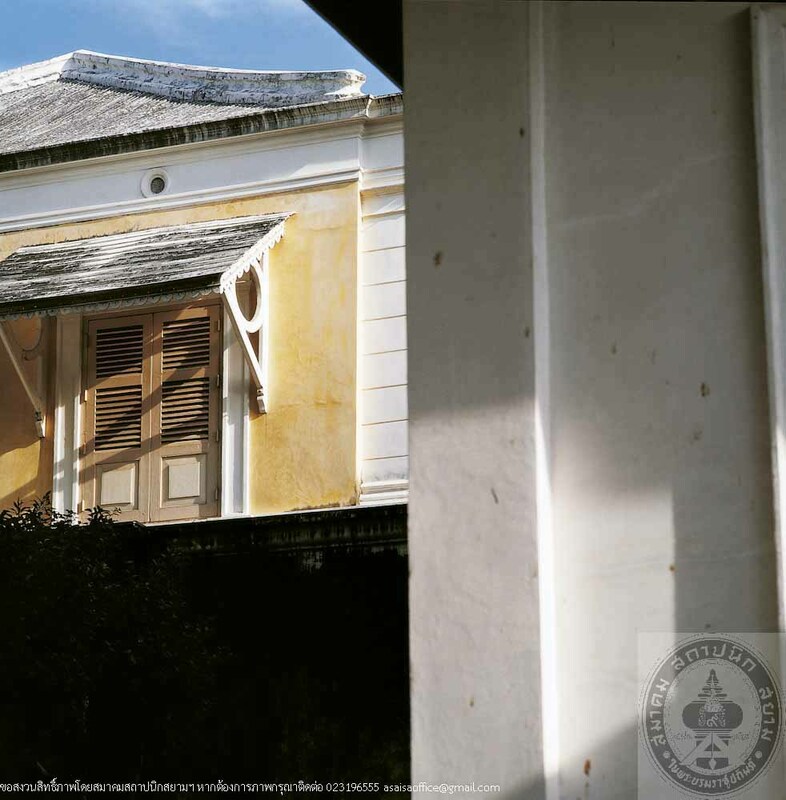 Consecutively, this palce had been resided by several princes including King Rama III before he ascended the throne, Prince Krommamuen Adulyyalaksanasombat, and the last resident was Prince Krommaphraya Narisara Nuwattiwong in King Rama V’s reign. 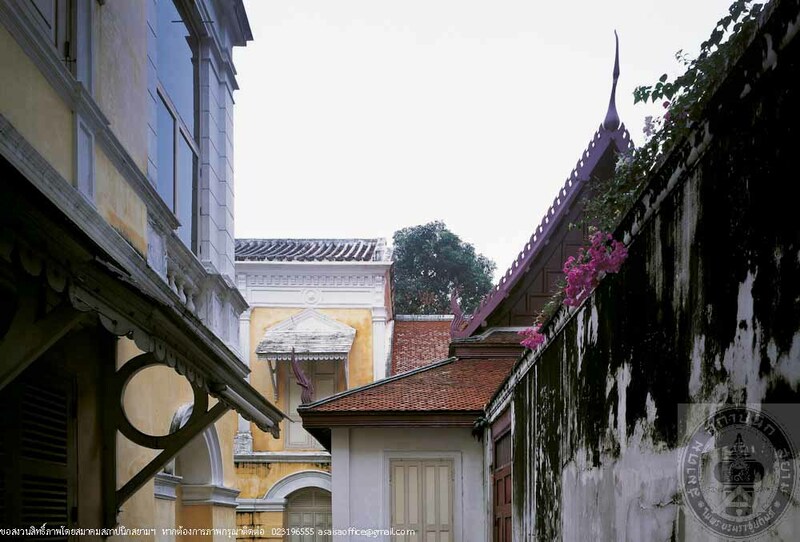 During that time, Phra Tamnak Klang (Middle Pavilion), designed by Mr. Joachim Grassi, an Italian architect was added to the compound. It is connected to Phra Tamnak Phannarai, a residence of the Prince’s mother. 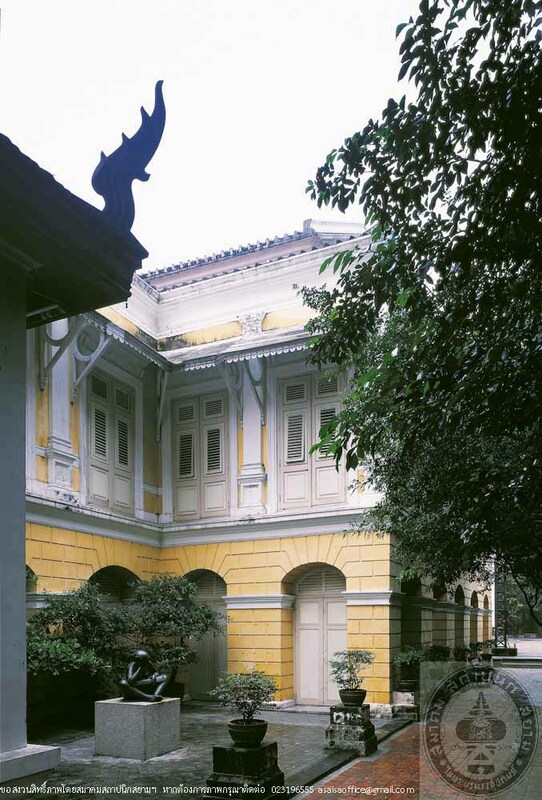 Thong Phra Rong and Phra Tamnak Klang have been rehabilitated as the university art gallery where interesting art exhibitions and events are held throughout the year.